Automotive and industrial gears need adequate protection from wear and corrosion to help prevent costly downtimes due to repairs. Using highly refined base stocks combined with foam inhibitor additives, Xtreme™ GL-1 SAE Gear Oils are ideal for use in automotive and industrial gearboxes and manual transmissions where API GL-1 mineral, non-EP gear oils are recommended. Xtreme GL-1 SAE Gear Oils are not recommended for use in automotive or heavy duty differentials using offset spiral bevel (hypoid) gear sets. Use API GL-4 or API GL-5 gear oils for those applications as specified by the manufacturer. 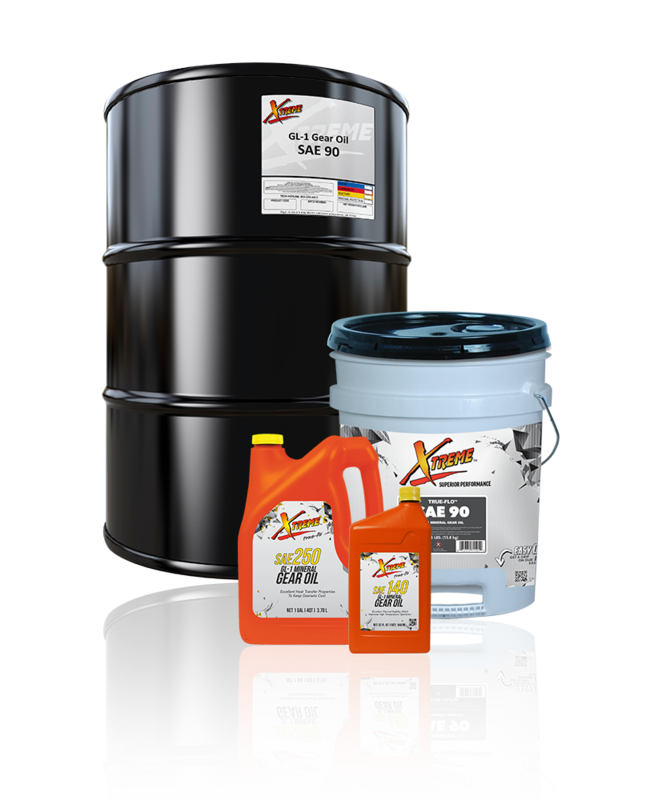 Xtreme GL-1 SAE Gear Oils are available in the following viscosities: SAE 90, SAE 140, SAE 250.